Being hospitalized may be one of the most stressful and scary moments in a family’s life. This is true for the parents and caregivers of a child, and of course for the patient who is severely ill or undergoing surgery. We’ve been there too and have experienced the magnitude of emotions that forever changed our lives. As a subset of the CHD Coalition community outreach initiative, we provide various services to the local hospitals that have a dedicated pediatric cardiology surgical program. Our most important goal is to bring hope to the family and to the CHD survivor currently hospitalized. To let them know that they are not alone and that a large community of Heart Families is readily available to offer support. Upon their request, we will have a private visitation with the family or patient in the hospital. While never a replacement to a doctor’s diagnosis and professional medical care instructions, meeting with another parent who has personal experience with congenital heart defects is an invaluable resource for advice and sharing. 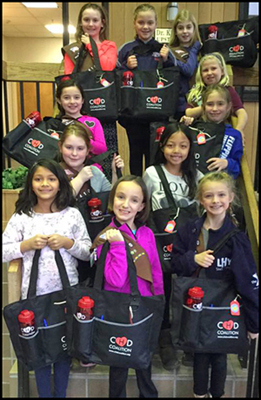 The CHD Coalition Heart Bag program is another way we deliver this message of hope. Our Heart Bags contain numerous items that may make the family’s stay within the hospital a little easier. In addition, the bags contain informational resources that may be helpful during this traumatic period of time. We currently deliver bags to 8 hospitals located in the NY/NJ area, but the goal is to add more hospitals to the program.